Jennifer Thermes is a map illustrator and the author-illustrator of books for children, including Charles Darwin’s Around-the-World Adventure and Grandma Gatewood Hikes the Appalachian Trail. She lives in Connecticut. "A notable choice for both STEM curricula and family sharing." 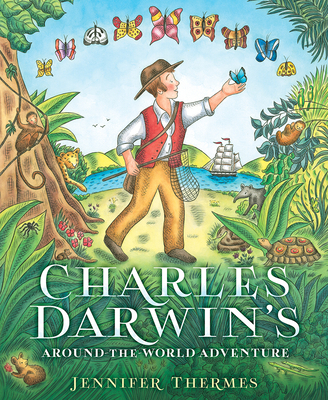 "A colorful, childlike presentation of Darwin’s eye-opening voyage of discovery." "Cartophiles and observers of human nature alike will enjoy this book."